The page you're currently looking at contains information related to Redactor 1.x. Please visit Predefined Links for the relevant information for Redactor 2.x. 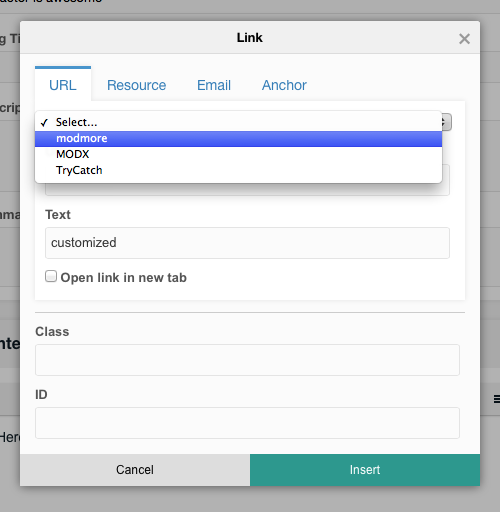 One of the many additions to Redactor 1.5 is the ability to quickly choose from predefined links in the edit link modal window. 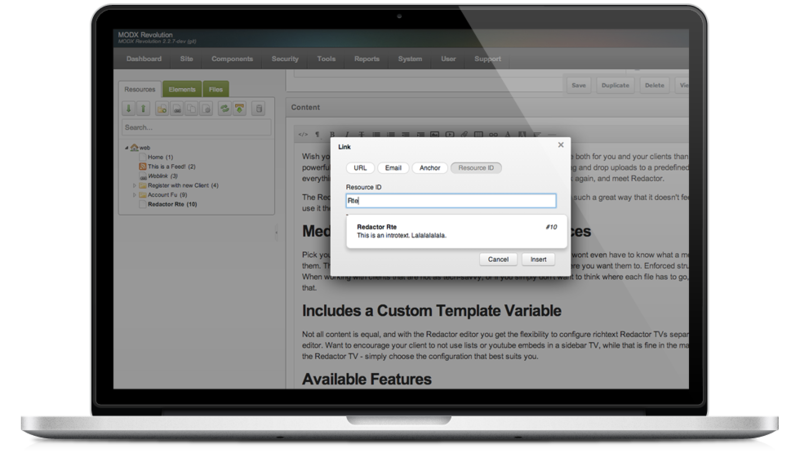 By authoring a list of links to be available Redactor will add a select box so your most important links are only two clicks away. To use Predefined Links, you'll need to create a JSON object for Redactor to reference, and set the Predefined Links Setting to a URL that serves your JSON. As you can see, each link consists of a name and a url property, formatted in simple JSON. To help you create the JSON, please feel free to use the interactive widget below. Add as many predefined links to your Redactor toolbar as you like. Below are your predefined links, ready to use with Redactor for MODX. Enjoy.